Top Tax Write-Offs That Could Get You In Trouble With The IRS – Part 1 of 2 | TaxConnections is a where to find leading tax experts and tax resources worldwide. Here’s a write-off that sometimes is difficult deciding just where to draw the line. Can you deduct the cost of going to see a Cirque du Soleil show in Las Vegas if you’re treating your client? The answer is yes, as long as you can justify it as a business expense. And what if your spouse goes along on the trip? As long as they’re a partner or employee of your business and attended conventions or meetings on the trip you took together, then his or her travel and 50% of his or her meals are also deductible. • Key Issue: You can deduct travel expenses, and 50% of related meals and entertainment, if the travel is reasonably related to your business. • How to Do It Right: The more accurate your records are, the more likely they’ll be accepted and validated by the IRS if you become involved in an audit situation. On your next business trip grab an envelope from the stationary drawer of your hotel room and put all your receipts from that trip in it. Label the envelope with a name and date to help you remember that trip and document it should it be questioned later. If you use a cell phone as part of your business, this could be a big deduction for you. So don’t make the mistake of mixing business with pleasure by sneaking too many personal calls onto your cell phone bill. • Key Issue: Because of the way a cell phone can be used and many phones and features are bundled into single plans, this expense has come under much scrutiny, so people need to keep good records and keep their actual cell phone bill so they can demonstrate what portion relates to cell phone use and that a majority of the calls were business calls. • How to Do It Right: Take a look at your cell phone bill to make sure you receive an itemized report. Because cell phones are considered listed property, you need to keep detailed records of their use. In the case of a land line, it’s a good idea to have a separate phone number for your business since the IRS won’t let you allocate the cost of a single phone in your home to your home office. Home office deductions used to be a big red flag for an audit back in the 1990’s. These days, you just need to use the deduction with caution. A good rule of thumb to follow is that anything that’s unusual and disproportionate to your level of income is something the IRS will check out. • Key Issue: Home office space is the exact square footage area in your home dedicated exclusively to the running of your business. • How to Do It Right: Get an accurate floor plan of your residence and the exact square footage of the space exclusively used for business. Once you figure out the percentage of your home office compared to your overall home, then you can go back to your heating bills, electric bills and all other bills that go to supporting your home, and figure out the amount you can deduct for running your business. It’s not a good idea to mix your business world with your personal life so you should not use your home office computer for personal tasks if you can help it. • Key Issue: If there is the only computer in your house, you will have to calculate the percentage of total time you use it for business purposes. • How to Do It Right: Ideally, your best option is to purchase a laptop or tablet and dedicate it to being your personal computer. You then use your desktop computer solely for business. 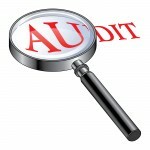 This way you can avoid any messy situations come audit time. Wondering if you can still take the home office deduction if you’re a renter? The answer is yes. But you need to know the right way to go about it. Protect yourself. If you are selected for an audit, stand up to the IRS by getting representation. Tax problems are usually a serious matter and must be handled appropriately so it’s important to that you’ve hired the best lawyer for your particular situation. Find Tax Attorneys that are highly skilled in handling tax matters and can effectively represent at all levels with the IRS and State Tax Agencies including criminal tax investigations and attempted prosecutions, undisclosed foreign bank accounts and other foreign assets, and unreported foreign income.